For Clear communication under demanding conditions, Survivar offers a compact, mask-mounted voice amplifier. 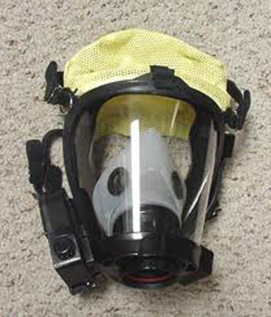 Designed for industrial and firefighting applications, the Survivair SmallTalk is NIOSH approved and NFPA-compliant for use with the Panther, Sigma and Cougar SCBAs & SARs. Operated by a switch with three modes – Push-To-Talk, Continuous On, or OFF – the Survivair SmallTalk speaker unit easily attaches to the facepiece. The amplifier can easily be transferred between facepieces with their own microphones and adapters, significantly reducing costs. The Survivair SmallTalk Plus amplification system included an on/off indicator light, visible in direct sunlight, which also serves as a low-battery warning indicator. It is powered by a 9-volt battery, housed in a separate compartment to eliminate damage should the battery leak. The battery can be changed in the field, without tools. Need a price on Reconditioned Survivair Small Talk Communications - Voice Amplifier's?